Cedric Shaw went out and threw a complete-game, five-hitter for single-A Charlotte in August 1989, a performance that impressed his manager Bobby Jones, according to The Sarasota Herald-Tribune. "He pitched a heckuva game," Jones told The Herald-Tribune afterward. "Cedric knew what he wanted to do and went out there and did it." Shaw went 10-6 that year, with a 2.72 ERA. He played that year in his second season as a pro. He went on to see time in seven seasons. He made AAA, but not the majors. Shaw's career began in 1988, taken by the Rangers in the 12th round of the draft out of Grambling State University. He started with the Rangers at rookie Butte. He went 5-2 there, with a 3.99 ERA over 12 starts. He then moved to single-A Charlotte for 1989 and returned there for part of 1990. Shaw started 1990 at AA Tulsa. He also took the team's first start of the year, according to The Tulsa World. "They are all pretty even," Tulsa manager Tommy Thompson told The World before that first game. "I feel Cedric is ready for the challenge of starting the opener. He throws strikes. He's reliable and has good stuff." Shaw went 4-5 for Tulsa, with a 6.86 ERA over 12 starts. He played the other half of the year back at Charlotte. He went 5-3 there, with a 1.59 ERA. He threw six shutout innings in an August outing. 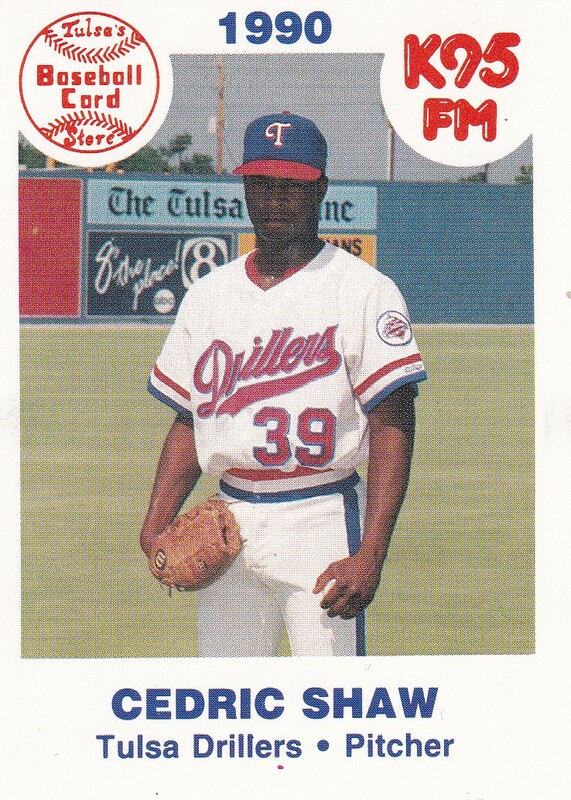 Shaw returned to Tulsa for 1991, going 9-8, with a 4.06 ERA. That April, Shaw went seven innings of no-hit ball and his relievers finished the job for a combined no-hitter. 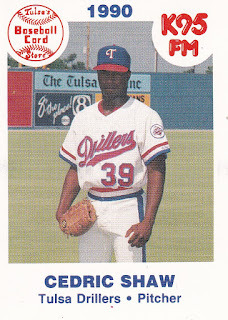 Shaw made AAA Oklahoma City for half of 1992 and then all of 1993. He went 2-6 for the 89ers in 1993, with a 7.91 ERA. He then returned for five final outings at AA Harrisburg in 1995, ending his career.